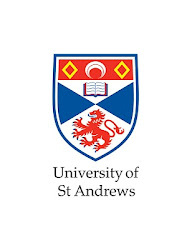 Research@StAndrews blog: Professor James Naismith appointed FRS - Congratulations! Professor James Naismith appointed FRS - Congratulations! Congratulations to Prof. James Naismith, of the School of Chemistry and Director of Biomedical Sciences Research Complex, who was recently elected to the Fellowship of the Royal Society (FRS). Prof. Naismith is cited by the Royal Society for his stunning structural and chemical dissection of the many proteins involved in natural product recognition, synthesis and export. His work has revealed new paradigms in the recognition of nucleic acids and carbohydrates, unveiled novel chemical mechanisms for enzymatic nucleophilic substitution and addition and provided the first views, both structural and dynamic, of polysaccharide export systems in bacteria. 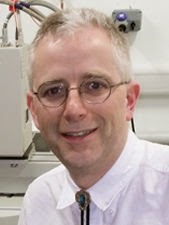 His work is characterised by a synthesis of three-dimensional structural understanding with profound chemical insight. The Royal Society, the oldest scientific society in the world, recently announced 50 new Fellows and 10 Foreign Members. Election to FRS is considered one of the greatest achievements that can be bestowed on a scientist.